HWL Ebsworth has become the latest in a string of top Australian businesses to sign up as future tenants at Grocon’s 480 Queen Street development in Brisbane. 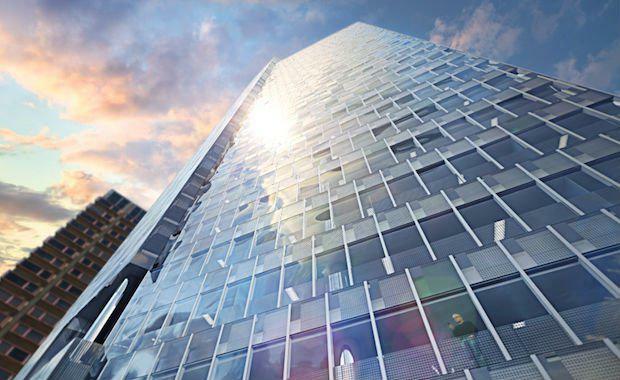 HWL Ebsworth will join BHP Billiton, Herbert Smith Freehills, PwC, Allens and The Executive Centre in the 31-level premium commercial office building under construction in Brisbane’s Golden Triangle precinct, which is due to be completed early in 2016. 480 Queen Street will become the new Brisbane headquarters for HWL Ebsworth who will consolidate their offices across three contiguous floors in the high-rise component of the building. The commitment of HWL Ebsworth to the building brings the total occupancy of Grocon’s development to 71 per cent. “The high and sky rise components of the building are now almost entirely fully leased with just two small tenancies still available. This is a true testament to the outstanding opportunity 480 Queen Street presents and arguably, we’re now looking at a nation leading tenant directory," said Grocon Chief Executive Officer, Carolyn Viney. Grocon is both developer and builder for the project with DEXUS Property Group and DEXUS Wholesale Property Fund acquiring 480 Queen Street from Grocon on a fund- through basis in April 2013. HWL Ebsworth was represented by Andrew Beasley from Colliers International in the transaction, while Colliers International Brisbane and JLL advised Grocon and DEXUS.